Beneath the ice crust of a frozen ocean, microscopic algae and bacteria thrive. As the Arctic becomes ice-free, they will play a new role in Earth’s ecology. With an ice-free Arctic Ocean in the summer set to become a reality in the next two decades, the micro-organisms living within this frozen landscape will take on a whole new importance for the ecology of the planet. 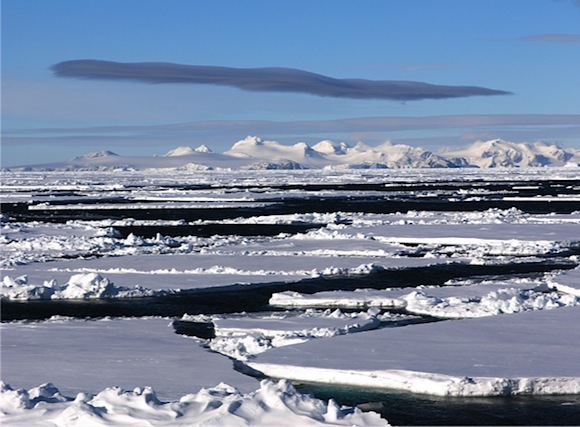 Working with academics at Bangor University, the team at Essex have found there is a strong relationship – spanning sea ice from both the Arctic and Antarctic – between the physical nature of the ice and what microbiology lies within it. Their research, published in the highly-acclaimed journal Proceedings of the National Academy of Science, will give scientists the ability to more accurately build a model of the carbon cycle of the Arctic, which could have implications for future temperature range predications and the weather. In the Arctic, ice-organisms are adapted to growing on the ice surfaces and within a labyrinth of channels and pores that permeate the ice floes. It is a hostile place to grow with temperatures often below -10°C (reaching down to -20°C), low light and often very salty brines, six or seven times more salty than the seawater from where these organisms originate. Like many marine organisms, these ice-dwellers secrete gel-like substances in response to environmental stress, buffering them against extremes of temperature and salt. However, there is also evidence that the gels, or substances in the gels, may also alter the ice crystal formation, and so the structure of the ice itself. Since 2006, Professor Graham Underwood and Dr Shazia Aslam from Essex and Professor David Thomas from Bangor University have led several projects, funded by NERC (the Natural Environment Research Council) to study the production of micro-gels, and their widespread importance to the frozen realms of the world’s oceans. Analysing ice cores from both the Arctic and Antarctic the researchers have found a strong relationship between the physical nature of the ice, the amount of microbiology it contains and the concentrations of gels. Professor Underwood explained: “It now means that scientists can estimate the concentration of gels in ice, by knowing routine measurements available from satellites, such as the thickness of the ice floes, temperature and salinity of the ice, rather than relying on expensive and potentially dangerous sampling trips by research planes or ship. With the predicted thawing of the Arctic, the gels within the ice will take on a new importance as the gels also promote the clumping together of cells when they are released from the ice when it melts. These sticky masses fall more rapidly to the ocean floor, taking food and carbon on the way. There is also evidence that micro-gels at the ocean surface may get caught up into the air and eventually act as cloud condensing nuclei, thereby affecting weather. 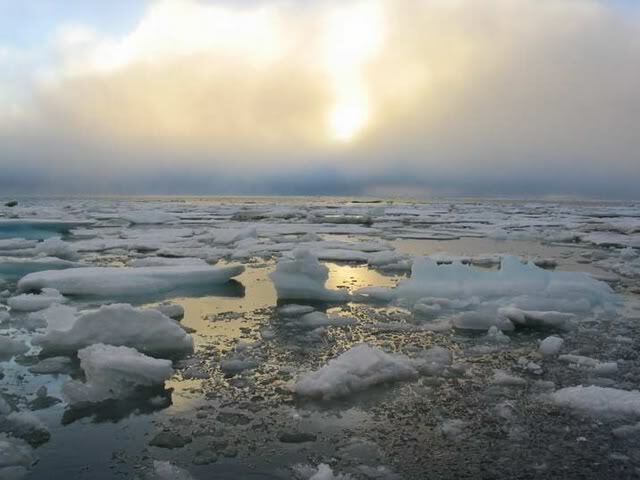 The research team at Essex will now carry out further studies looking more closely what the melting ice in the warmer months will mean to the ecology of the polar seas. PreviousComet ISON & US Govt Oct. 1st Prep: What Does The US Govt Know That We Don’t?